Bootcamp is starting next Monday at Big Picture Classes, and guess what? I have two spots in the class to give away! For more details on the class, teachers, and planned activities, check out the class description here. Then come back and leave a comment telling me what/how you'd like to push your creativity with this class! Comments will be open until 11:59 pm EST, on Friday, October 12. I'll choose two random winners and announce them on Saturday. That'll give you enough time to get all logged in and registered before the class starts on Monday! I would love to push my creativity with the storytelling aspect from Ali! I just admire her and my storytelling on paper is not as great as I would like. I also liked the "stretch your scrapbooking muscles." That would be FANTASTIC! I could use boot camp right now. Maybe a way to push me in the right direction. Thanks for the chance! I'd love to push my creativity when it comes to storytelling! I'd love to learn a better way to get my thoughts across! 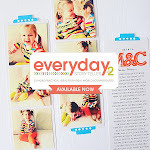 I am always looking for ways to improve my photography, so this would be a great class for a scrapbooker like me! Thanks for a chance to win! I would love to win! I do need to improve on alot of things! I have lost my mojo at the moment so the idea of discovering again the reason that I scrapbook to tell a story is very appealing. Thanks for the chance to win. I am excited to see what Tracey Clark can teach me about photography in 10 minutes, and I'm also looking forward to Amy Powers lessons, should be really interesting! I definitely need someone to give me a kick in the pants when it come to photo-taking,I just haven;t been taking as many photos as I should lately! I am most interested in the design aspect of boot camp. I would love to be able to sharpen my design skills. Thanks for the chances to win! I love the part where they give you something concrete to start working NOW... I need that little push, because I tend to just dilly dally around never knowing how to start... this would be great! Thanks! I would like to be a story teller, and a better journaler..